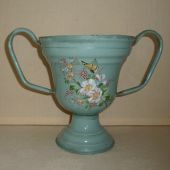 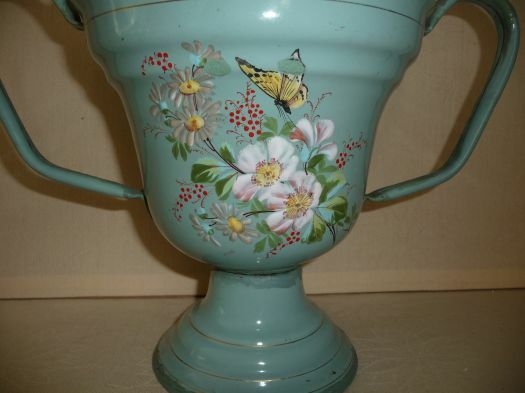 Rare enameled "vierpot" with raising pattern. 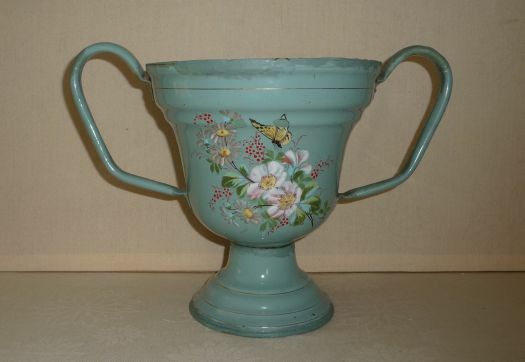 This item is unfortunately damaged, there are some chips covered with paint. 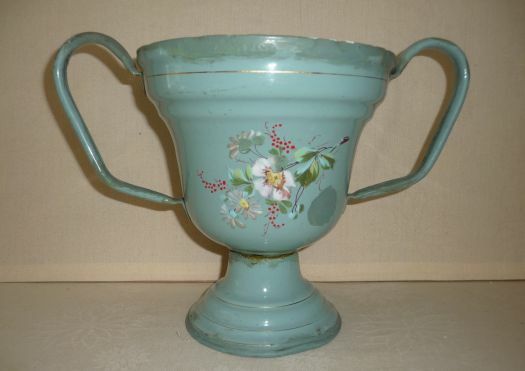 It is a pity but it remains a rare and interesting piece for collection and decoration. 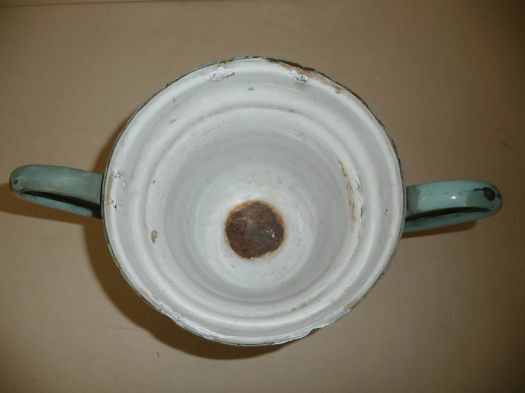 Height 25 cm ; diameter at the top 19,7 cm.